If you are interested in GIS, Cartography,Web Mapping, Databases you can also join in and expand the knowledge sharing that answers questions quickly. 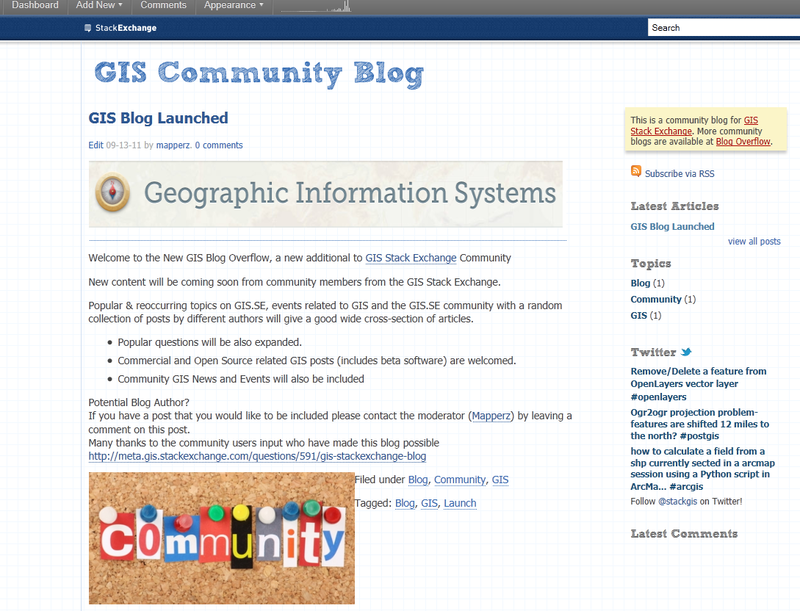 New content will be coming soon from community members from the GIS Stack Exchange. Popular & reoccurring topics on GIS.SE, events related to GIS and the GIS.SE community with a random collection of posts by different authors will give a good wide cross-section of articles. Popular questions will be also expanded. Commercial and Open Source related GIS posts (includes beta software) are welcomed. If you have a post that you would like to be included please contact the moderator (Mapperz or mapperz@gmail.com) by leaving a comment on this blog post.